This is a sumptuous mirror! Made in France during the Art Deco period the base depicts a shallow silvered wooden boat shaped vessel full of gilded carved wood fruit and flora. The shaped mirror sits in the base and is held in place at the sides and top by ridged gilded wooden sections. 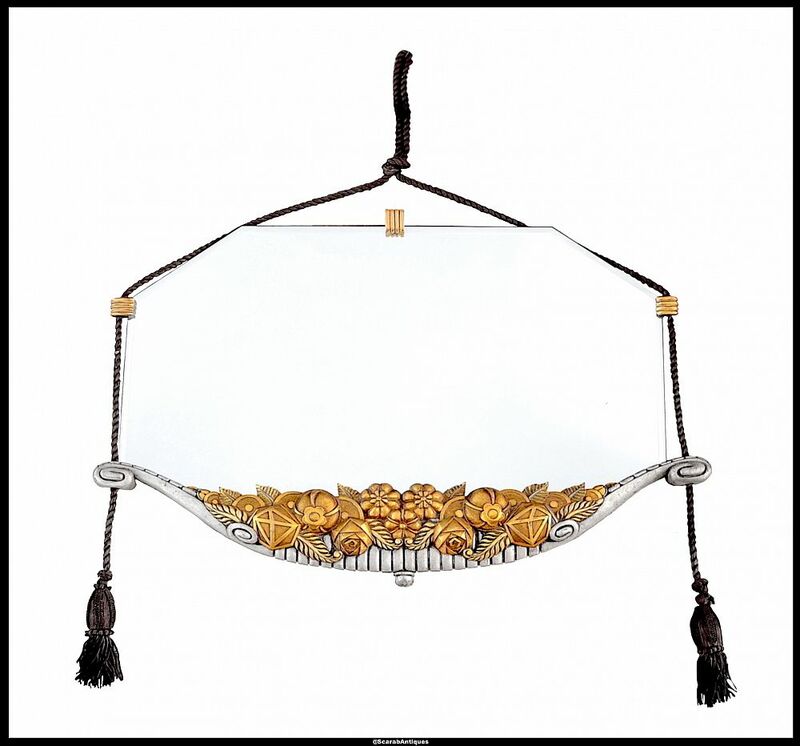 The original coppery coloured metal cords & tassels run through these side sections and then extend above and beyond the mirror to form the hanger.